Heat oven to 350°F. In ungreased 1 1/2-quart casserole, combine all ingredients; mix well. Bake at 350°F. for 35 to 40 minutes or until thoroughly heated. 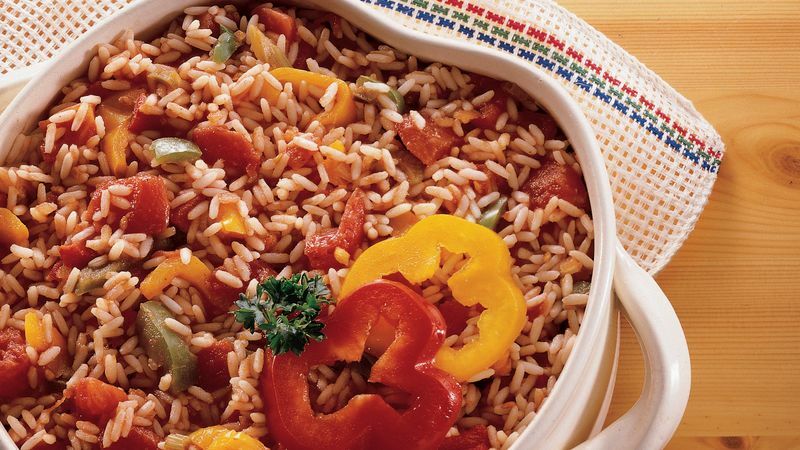 Long-grain, instant or converted rice all work equally well in this side dish. This recipe can be assembled up to one day in advance, then covered and refrigerated. Uncover and bake it for 40 to 50 minutes.